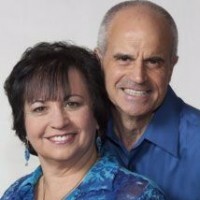 Pastors Gary and Rodine Palermo have been married and involved in ministry for over 43 years. They began their ministerial career as guest speakers for churches, conventions, and conferences throughout the United States and abroad. They were Pastor's of a church in Houston, Texas for nine years before they moved to Minnesota and were led by God to start Grace Church in 2007. They are the proud parents of two sons: Jonathan and Christopher. Jonathan & Misty have been married for 13 years, and have a one year old daughter named Bailey. They have been involved in ministry for over twenty years. They truly have a heart to serve God & serve people. Jonathan is the Associate Pastor and Praise & Worship Leader at Grace and Misty heads up the Greeters, Ushers and Media Ministry.